WASHINGTON (Reuters) - President Donald Trump's former lawyer Michael Cohen will testify in a public hearing before a U.S. congressional committee on Feb. 27 and the panel's chairman said Trump's business practices would be a focus of the testimony. Cohen had originally been scheduled to testify on Feb. 7 but his adviser Lanny Davis said he canceled because of threats against his family from Trump. "I am pleased to announce that Michael Cohen's public testimony before the Oversight Committee is back on, despite efforts by some to intimidate his family members and prevent him from appearing," House Oversight and Reform Committee Chairman Elijah Cummings said in a statement. Cohen has pleaded guilty to crimes including campaign finance violations during Trump's 2016 election campaign and has cooperated with investigators. Trump called Cohen a "rat" in a tweet in December for cooperating with prosecutors. Cohen had been Trump's self-described longtime "fixer" and once said he would take a bullet for the New York real estate developer. "The schedule has now been set. Looking forward to the #American people hearing my story in my voice!" Cohen tweeted late on Wednesday, linking to a fundraising effort for his legal fees. The Oversight Committee said in a memo to its members that Cohen would be questioned about Trump's "debts and payments relating to efforts to influence the 2016 election," Trump's compliance with tax and campaign finance laws, and Trump's business practices, among other topics. Davis confirmed in a tweet that Cohen would appear before the Oversight Committee and said Cohen "will speak about his decade long experiences working for Mr. Trump." 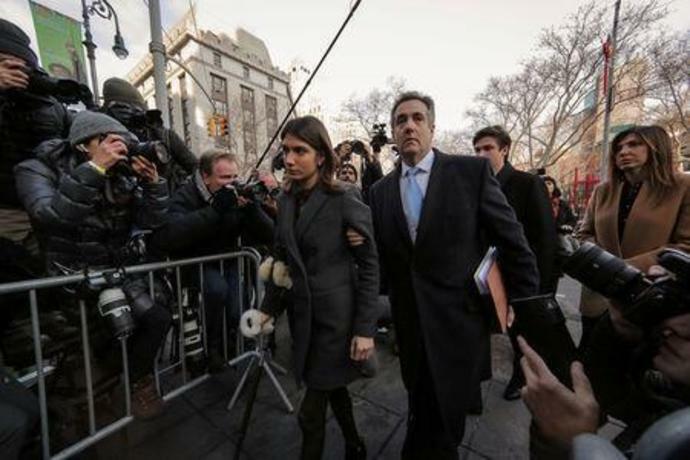 Cohen will report to federal prison on May 6 after a judge granted him a two-month delay to allow him to recover from a surgical procedure and to prepare for his congressional testimony, according to a court filing on Wednesday. Cohen is also scheduled to testify at a closed hearing of the House Intelligence Committee on Feb. 28. Cohen last week postponed a scheduled appearance before the Senate Intelligence Committee due to medical reasons.